When I had my first child back in 1996 (yeah, I still can't believe he's 19 now! ), my mother presented me with the book she had used as gospel for how baby's first days should go. It was written sometime in the 1950's. If I remember correctly, there was an hour-by-hour breakdown of how baby's first day home should go. I tried to accept the gift graciously, but I fear I failed in that perspective. If 8 Simple Tools for Raising Great Kids by Dr. Todd Cartmell had been around then, I would have definitely had that one on my shelf. Granted, it's not about infant care, but it would have been SO valuable for the ensuing years. I had many successes, and quite the number of failures as well. My oldest son, now 19, has (as far as I can remember) never rolled his eyes and said, "Gee, Mom, embarrass me in front of my friends, why don't you," when hugging him in public. On the other hand, recently my 13 year old daughter asked what we have to eat. I told her I thought there were hot dogs in the refrigerator. We went out and checked. There were no hot dogs in sight. She turned to me and said, "Don't ever lie to me again." Yeah. I did not handle the disrespect in a productive manner. But later, we had a long talk and things got better between us. So, even though I've been a parent for almost 20 years now, and my children are older, there are still things I have to learn about parenting and building relationships with my children. Each section is broken down into 5 super quick and easy chapters. They are little bite-sized chunks of information to either start you on the right path as a parent, or to help you make the changes you need to make for a happier family life. I so appreciated the tone of the chapters. The author does not preach a parenting philosophy, and readily admits that he, too, is human, just like all of us. Dr. Cartmell is Christian, and so this book is written from that perspective. He also includes some Bible passages relevant to the topic of each chapter. But he doesn't 'thump' you over the head with his religious views. And I really believe that this book would benefit (a) parent/s of any religion, as well as those who do not consider themselves religious or spiritual. There are certain things that all parents have in common. I have also thought of going through the chapters of 8 Simple Tools for Raising Great Children and blogging about my experiences. Do you think a blog series like this would be interesting? Let me know in the comments - pretty please? And if you have a comment for the author, you can add that in a comment as well! 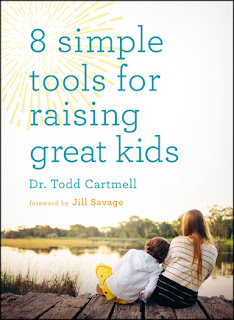 Dr. Todd Cartmell is a popular speaker and child psychologist who received his doctorate in clinical psychology from Fuller Theological Seminary. 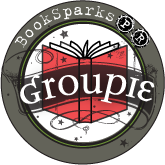 His books include Project Dad (Spring 2011); Respectful Kids; Keep the Siblings, Lose the Rivalry; and The Parent Survival Guide. Dr. Cartmell conducts entertaining parenting workshops around the country and maintains a full-time clinical practice in Wheaton, Illinois. 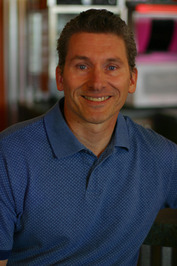 You can link to his website, with Q&A, a parenting blog, and workshop information, at www.drtodd.net. Click the Flyby button to go to the tour site for information on this and other tours and promotional services. You can also find out how to become a member of the Flyby Blogger Network!